Sycor Technology is THE place to go for all of your hook-up and lead wire requirements! Our warehouse is home to thousands of kilometres of high-grade hook-up and lead wires in a variety of rubber and plastic insulations to suit any and all of your applications. 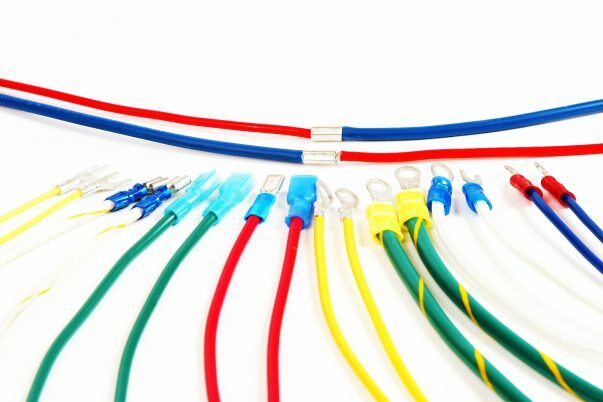 Sycor proudly distributes hook-up and lead wires that comply with or exceed stringent industry and government regulations, including CSA, UL, and Mil-Spec certifications. With choices in insulation, conductor metals, sizes, and colours, the combinations of hook-up and lead wires at your disposal are endless. Regardless of whether you are using our hook-up wires for appliances, transformers, control panels, motors, HVAC systems, or anything else under the sun, we guarantee that you will be satisfied with your product! Some of the most popular types of hook-up and lead wire we distribute include: TEW/MTW, SIS switchboard wire, T90, TR-64, and SR-PVC. Though these may be the most commonly requested products, Sycor has the capabilities to track down obscure and hard to find products you may need for your unique application. Just give us a shout and our dedicated sales team will get cracking on sourcing a product to fit your unique specifications! 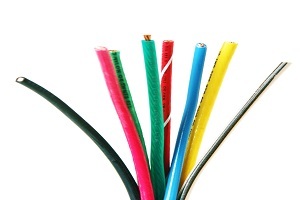 For more information choose from our selection of lead/hook-up appliance & equipment wire above. Have a question about hook-up wires? We have the answers! Whether you are unsure of which type best suits your application or are just curious about wires in general, Sycor’s dedicated team is at your disposal. Request a quote online, email, or call us today!